Hisense Full HD TV gives a realistic touch to any content with its crystal clear picture quality. 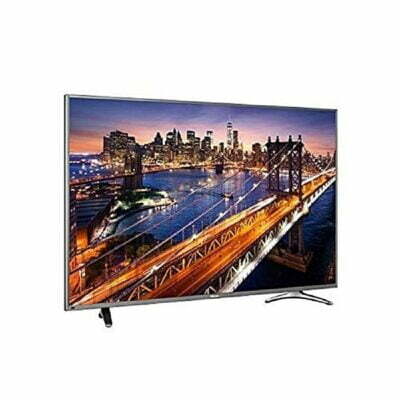 This Hisense smart TV has a 39inch display. The Hisense 39N2170UW FHD Smart TV offers an immersive visual experience for the whole family. It displays images at Full HD resolution on a 39inch screen. The result is distinct, vibrant, pin sharp visuals spread across a large and vast digital canvas. The visuals are accompanied by crisp, distortion free audio to offer a rich viewing experience. This TV runs smoothly at an optimum pace thanks to its powerful Quad Core processor. Understanding and using this advanced Hisense Full HD TV is super easy due to its interactive VIDAA Lite 2.0 operating system. Go online to browse and play content from the web directly on the Hisense TV without having to download and convert the media.